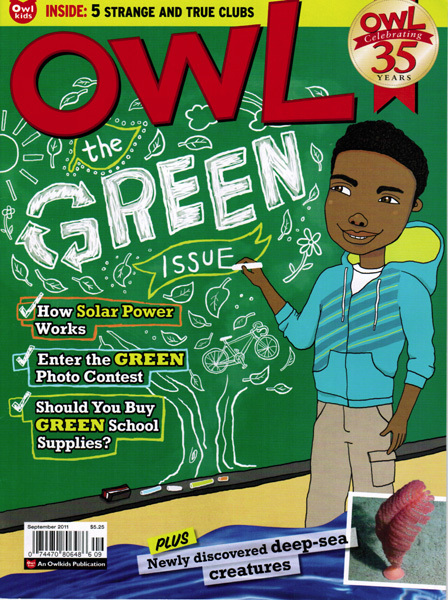 Two of our illustrators - Monika Melnychuk and Margaret Lee, contributed to The Green Issue of Owl Magazine. Monika illustrated the cover emulating chalk writing on a green-board with her fun hand lettered type. 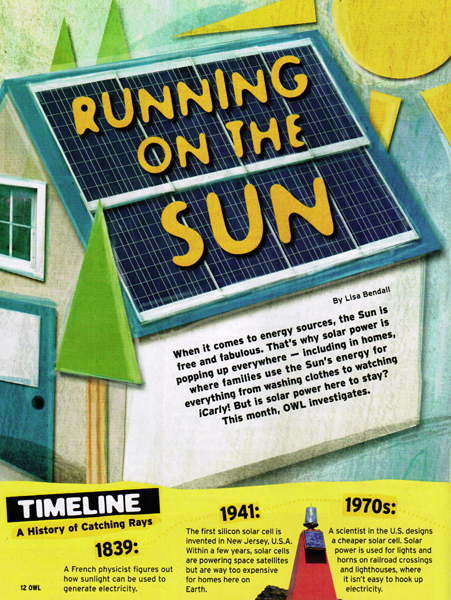 Margaret approaches a more technical article called How Solar Power Works with a kid-friendly illustration that's used more like a diagram.